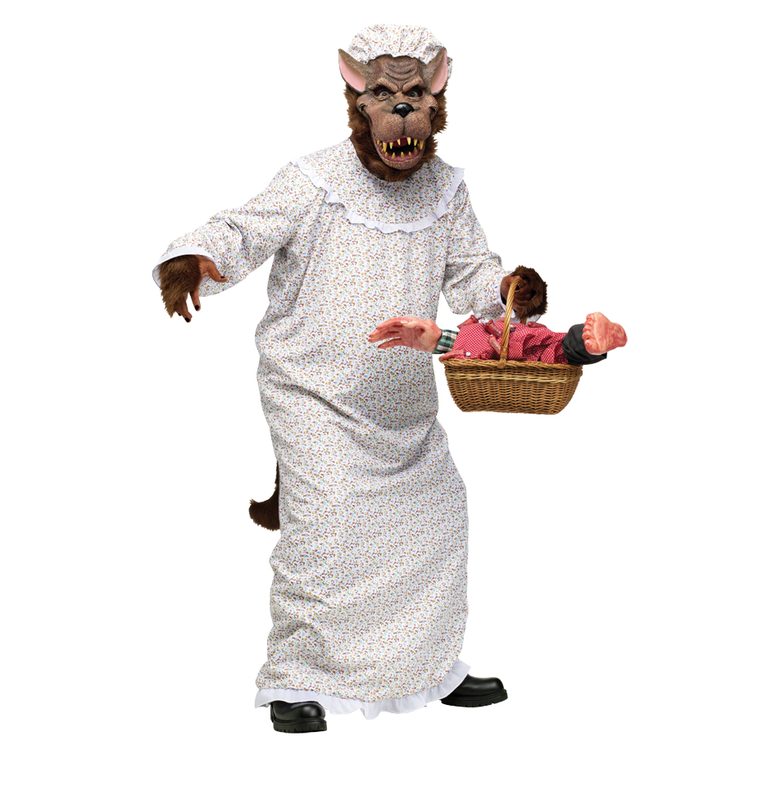 The Big Bad Granny Costume includes granny nightgown with plush sleeve cuffs and attached wolf tail, mask with attached matching mop cap. 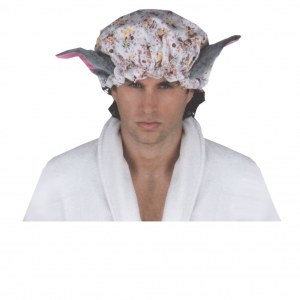 Basket with body parts not included. 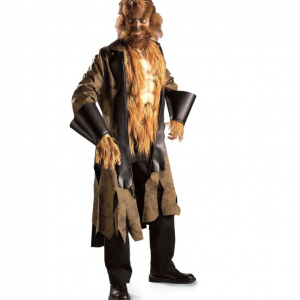 Fits most adults up to 6′ 200 lbs.